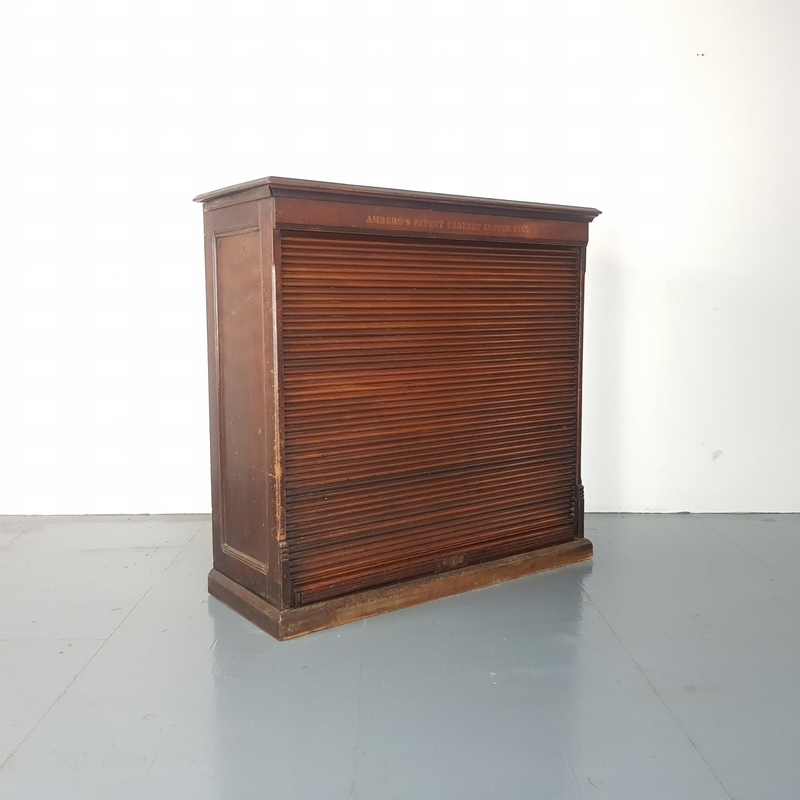 Very lovely and extremely rare filing cabinet made by Amberg (USA) dated around 1890. Each filing tray has a letter on it. Can be left open or the tambour shutter comes down.